Good morning, Nation. 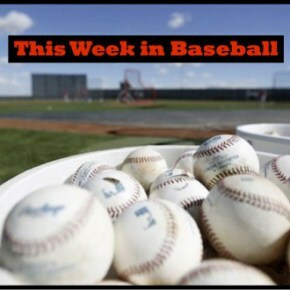 WeÃ¢â‚¬â„¢re back with our weekly installment of Ã¢â‚¬Å“This Week in BaseballÃ¢â‚¬Â, where Taylor, Matt, and Jeff will highlight interesting and/or important stories happening throughout baseball. JeffÃ¢â‚¬â„¢s getting married this weekend (congratulations, Jeff!) and will be off the next couple weeks. As always, hope you enjoy Ã¢â‚¬â€œ and let us know what youÃ¢â‚¬â„¢ve been reading by posting in the comment section below. As the MLB regular season comes down the back stretch, itÃ¢â‚¬â„¢s the perfect time to start thinking about next year; and who will be leading each team through the next set of 162 games. Ã‚Â For the past month, several names have come up over and over as current managers most likely to be let go by their current team; Matt Williams in Washington as his team fades into the distance behind the Mets, Bryan Price as the Reds were the first team this year statistically eliminated from contention, and Fredi Gonzalez as the Braves have gone through a 20 game stretch of being absolutely pummeled by opponents. Ã‚Â But who else tops the list of Managers on the hot seat? Ã‚Â This article lists nine managers likely out for next season (Korte). Almost every day we read or see a story of a pro athlete doing something, well, stupid…drugs, violence, acts or arrogance or privilege…so itÃ¢â‚¬â„¢s always nice and appropriate to highlight a story of a pro-athlete putting their celebrity and wealth to good use. Ã‚Â The article details Cole Hamels and his wife and how their honeymoon nearly 10 years ago put into motion a life-long passion to help those less fortunate. Ã‚Â The article highlights HamelsÃ¢â‚¬â„¢ charity and his work to bring help to those in desperate need (Korte).